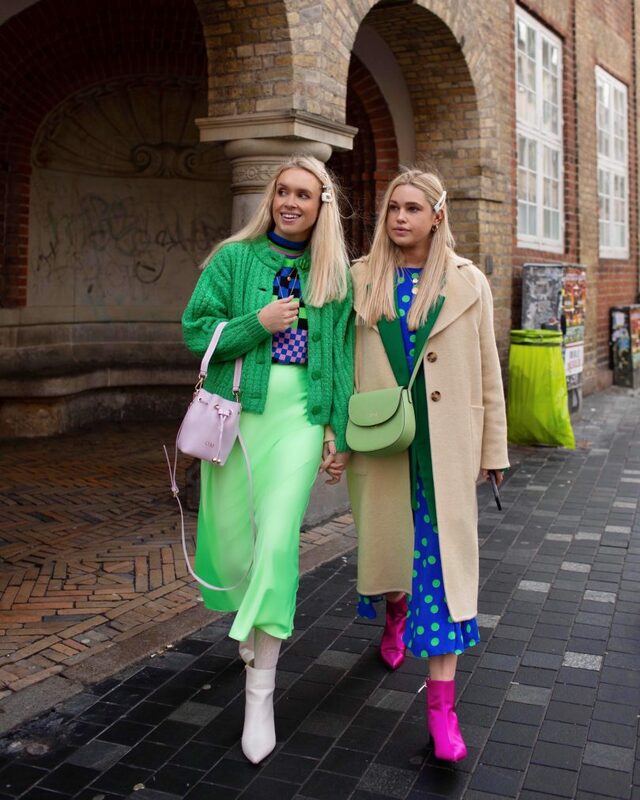 So here is another blog post dedicated to Copenhagen Fashion Week. An insight in to what we decided to wear on each day. For day one we wore these neutral and lilac looks. We picked the khaki and animal print pieces up when we went to the H&M showrooms. We decided within seconds that they would be great for Fashion Week but only later on decided to mix it up with some pops of colour (obvs). We grabbed some lilac from our existing wardrobes and fell in love with these outfits! Our looks for day 2 were based around these amazing coats. 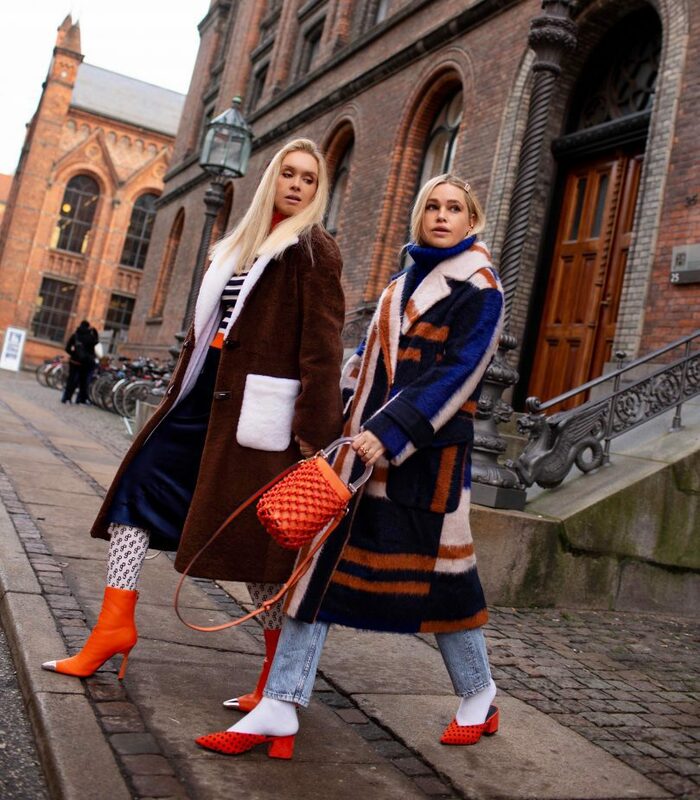 We knew it would be super cold in Copenhagen with the potential of snow, therefore knew we needed to take a couple of great coats with us that could be the main focus of our outfits. We loved the orange theme running through this overall look. It is a colour we want to introduce a lot more of within our wardrobes. This was one comfy cosy day! Although feeling blue on our last day it was actually very green! These green based looks were super fun to wear and we loved them. Make sure to check out our hotel get ready with us on our Instagram putting these outfits together! We are also loving how Liv’s jumper is giving us all the Prada vibes! All items are either gifted or from our existing wardrobes.